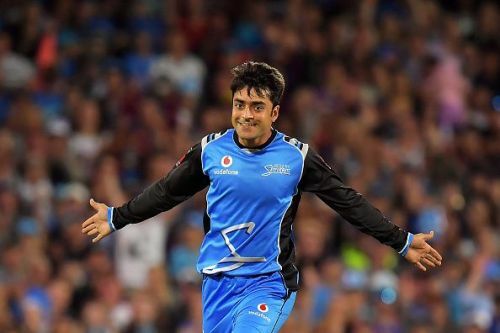 Playing for Adelaide Strikers, Rashid Khan replicated his IPL success in Big Bash League as well. Wrist spinners were the flavor of IPL 2018 as they topped the Purple Cap charts. In these erratic times, wristies are gold dust to any skipper. Kuldeep Yadav and Yuzvendra Chahal have been effortlessly running through the mighty batting orders for India. Although wristies involve a risk factor, but given that they don't need much assistance from the pitch to make the ball do the talking, makes them more potent. Among the spinners last year, Rashid Khan topped the list with 21 wickets, ending up second on the Purple Cap list. Before looking at the wrist spinners who could make an impact this year, follow this link to understand the science behind wrist spin. Originally a wicket-keeper, a knee injury forced Varun to become a spinner. How to become an overnight millionaire? Ask Varun Chakravarthy, who was handed a staggering contract of Rs 8.4 crore by KXIP, 42 times his base price. The mystery spinner from Tamil Nadu caught attention during the Tamil Nadu Premier League bagging multiple wickets with a jaw-dropping economy rate below 5 runs an over. Since then, he has gone from strength to strength. He also bowled in the nets to KKR batsmen in the last edition of the IPL. Varun was the leading wicket-taker for Tamil Nadu in the 2018–19 Vijay Hazare Trophy, with twenty-two dismissals in nine matches. He has seven variations: Off break, leg-break, googly, flipper, top-spinner, carrom ball and the slider. He is expected to partner Mujeeb Ur Rahman in the side and the duo already look deadly - at least on paper. Varun relies on his pace and variations and is an interesting prospect. He will playing his first IPL season this year.